Editor’s Note: This Havok Journal exclusive is a collaboration between Havok Journal writers Justina Bahriak, Andrew Fisher, and Monica Hartz, each of whom provided a unique perspective to this article. This article originally appeared in The Havok Journal on 16 October 2014. While some minor word changes were made between the DSM-IV and DSM-V, the criteria that needs to be met in order to make a diagnosis of ADHD is still the same. As was highlighted in a recent article titled ADHD Not a Real Disease, Says Leading Neuroscientist, many of the symptoms listed are common among nearly everyone at one point in time or another and in kids and adolescence in particular. Unlike the Dr. Perry, however, we do not agree that ADHD does not exist but that it is incredibly and detrimentally over diagnosed. Fairly overlooked by parents and seemingly clinicians as well is the requirement that most of the symptoms be present simultaneously, most of the time, for an extended period of time. Yes, we have all witnessed these symptoms in a child or adolescent (or remember experiencing them ourselves as teens) but if it doesn’t truly interfere with ones daily life for months on end, then what kids and adolescents are experiencing are simply life’s difficulties. We, as a society, are becoming over medicated in general but the increase in prescribed ADHD medication among children, teens, and young adults is becoming epidemic and holds risks that far outweigh any perceived benefits, if any even exist. It is common knowledge among those who research substance and alcohol abuse that the abusers emotional age is generally left around the age at which he/she started using. Prescription medications, prescribed unnecessarily, and that affect ones mood, emotions, and feelings are no exception. Adolescents are particularly sensitive to and negatively affected by this because their brains are still developing. Children and teens are being over prescribed ADHD medication which is stunting their emotional development. Instead of learning how to work through difficulties like boredom, distractions, and learning organizational skills, our children and young adults are being medicated through these struggles and therefore never developing the mental tools to combat them. Without the knowledge (much of which is unconscious) of how to cope with school, work, or life’s stresses and difficulties, we are inevitably adding more stress to the lives of those who are unnecessarily taking these powerful medications. Stress is particularly stressful when you are unable to cope with or manage it. 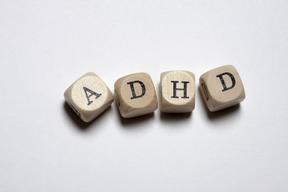 ADHD medications also tend to reinforce the very behaviors used to make the diagnosis. When a child is taking medication to address, or more accurately, suppress symptoms such as inability to maintain focus, listen, and organize the child never learns (the behavior) or develops (the synapses) these necessary and important skills and thus the criteria continues to be met. As if a lack of emotional control isn’t enough of a concern, we are teaching our children that their natural energy, curiosity, and need to learn things that are second nature to us as adults, is unacceptable. We are essentially telling our kids that it is not ok to be kids throughout their childhood then wonder why young adults seem to be regressing. There are absolutely cases of true ADHD that need require therapies but the majority of the children and teens being diagnosed simply need time to develop the abilities we are expecting from them. I agree with the doctor that psychostimulants should not be so readily prescribed to youngsters (and the same could be said of adults, as well)… These medicines do alter the brain’s chemistry. To make that kind of monumental change in the brain of a child could do long-term or permanent damage to their psyche. However, I disagree that with the idea that AD/HD should not be categorized as a disease in and of itself. It is a disease, a disease that does present with a myriad of symptoms at different levels in each individual. Yes, many of us at some point in our lives deal with an inability to sit still, or problems focusing on our work, or with a racing mind that just won’t stop. But the difference lies in the duration of symptoms: it’s more likely you have a disease if your symptoms are recurring, chronic, or escalating in nature. The doctor’s reasoning that we all experience these symptoms at one time or another could be taken to a higher level and applied to practically every mental health diagnosis on the books. At some point, we all deal with paranoia. We wonder, in the dark, if the car behind us is actually following us. We run up the stairs from a dark basement, fleetingly thinking something might grab our feet. We question if other people are talking about us. Does that mean that we are schizophrenic? No. A schizophrenic’s symptoms are chronic, recurrent, and they escalate when treated poorly, or not treated at all. A schizophrenic person, as well, can use interventions and behavioral therapy to treat their illness, some with great enough success to even live without medication.